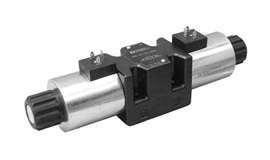 Hydraulic Equipment Supermarkets are official UK Duplomatic distributors and offer their entire range of excellent CETOP directional control valves - available to buy online now! 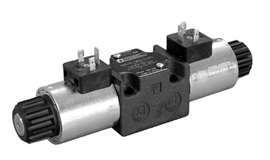 Duplomatic's subplate mounted CETOP valves are available with both single and double acting solenoid and are also available in both AC and DC voltages. Duplomatic CETOP 3 and Duplomatic CETOP 5 valves are directed operated valves with 3 or 4-way designs, 2 or 3 positions with various spool operations. Hydraulic Equipment Supermarkets can also supply the electrical connection plugs for connector type DIN 43650.